We are proud to announce that as of early 2014, we have achieved the status of a professional ISO delivery organization with outstanding success. Today, Define International Sdn. Bhd. 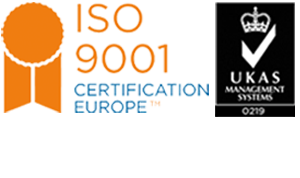 is amongst a handful, if not the only, UKAS fully certified ISO 9001/2008 status company in the event industry in Malaysia. Our ISO delivery status has been defined not only to the duration of the event and projects but to all of our end to end operations as well. This simply means, right from the first call or email to introduce ourselves, appointment recaps, objective charts, proposal formats, timelines, running sheet, event management processes, post mortem report and sustainability efforts has been redefined and set in accordance to the highest ISO standards. 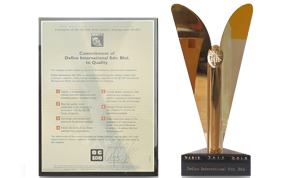 In 2012, Define International was awarded the GOLD Award by Business Initiative Directive (BID) Organization in Paris for outstanding quality commitment in the industry. This award was presented to us for our consistent and recognised efforts of delivering the highest quality to many renowned clients. In order to be selected and nominated, selected international clients would be presented with a nomination form for them to nominate organizations they have worked with. The shortlisted organizations would then be audited and selected by a professional team from BID. Receiving this award amongst many international recognized organization and former recipient being Lim Kok Wing Institute from Malaysia, will always be a major highlight in the Define journey. 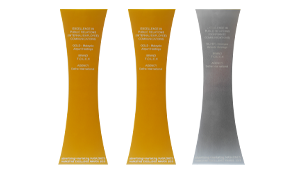 Amongst the many milestones achieved, Define International was awarded the Gold & Silver award in the Marketing & Excellence Award Ceremony 2013 for our outstanding customer service excellence campaign ‘TOUCH’ for Malaysia Airports Berhad. The concept of the campaign, its delivery and success was recognized by renowned judges as an outstanding and best campaign in Malaysia. The success of this campaign has now become a new benchmark for all campaigns initiated by Malaysia Airports Berhad and has been extended extensively to all international airports as well in a detailed and unique 5-year plan. Truly an amazing feat and milestone for Define International which is the first of its kind in the event consultation and management industry. Recently in 2014, this campaigned has earned a distinction of being the best in Government Sector Marketing by winning a Gold Award in the Marketing Excellence Award 2014. Seeking to provide a complete end to end service for many projects and campaigns, Define has provided many professional PR services to our clients that require them. Led by a dedicated team headed by the very experience Ms. Melinda Ambrose, who has over 10 years of experience in PR and former Corporate Communications Manager for Ancasa Hotels & Resorts, our PR team has delivered initiatives that are unique and maximizes every PR potential. 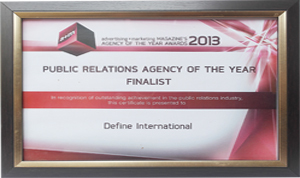 This professional and dedicated PR delivery was recognized recently in the Markies Award Ceremony in 2013 by Advertising & Marketing Magazine by selecting Define International amongst the top 5 PR company for the year! Our vision of making Kuala Lumpur the regional hub for events management took another step forward via the recent recognition in the Loyalty Engagement Awards 2014 where our campaign ‘TOUCH’ for Malaysia Airports Berhad was shortlisted as Top Five in Asia in its distinguished category. This award ceremony organized by the Marketing Excellence Magazine Asia and judged by leading professional in respective industries, has placed Define International amongst the best in Asia. We now truly believe that further international recognition would be achieved much sooner than expected. ©2016. Define International Sdn Bhd . All Rights Reserved.